In a male-dominated industry, Joanne Fedeyko, CEO of Connection Silicon Valley (CSV), believes it’s really important for women “to be more bold” and go outside their comfort zones in the tech world so they can break the glass ceiling. During a phone interview on Aug. 17, Fedeyko laughed as she called herself the “janitor and CEO” of her company, which helps Canadian startups at a very early stage partner with Silicon Valley’s tech ecosystem. “It’s really something where we have to be bold, and in order to be more bold we need support…and the Sheryl Sandbergs are great, but also we just need people, that 411 phone call, of just saying ‘I don’t know how to do this’ or ‘How do I get past this?,’” said Fedeyko, who is also the founder of the Canadian Women’s Network (CWN). The CWN focuses on helping women get their foot in the door and scale their businesses so they can receive foreign investments. “We have to take a deep breath and say ‘What’s the worst that can happen to us? Maybe we get a no, and that’s okay, maybe we will learn something from it,’ and I think that is where we need to rely on other people to help us,” Fedeyko said. 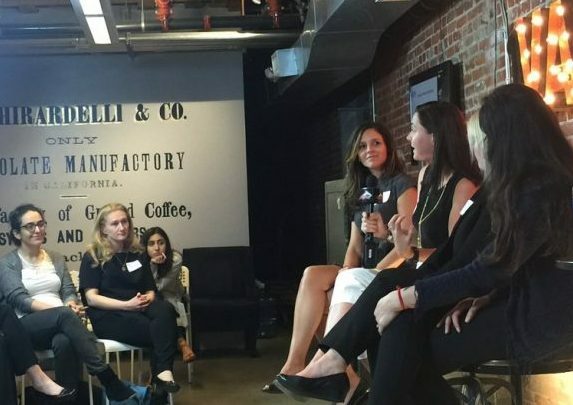 Fedeyko said CWN invited 14 women, who had startups in very early stages, to San Francisco in June to take part in a week-long of roundtable events, one-on-one sessions, and workshops with 25 tech experts who were already well-established in the industry. “Every single one of them were impressed with those women, and that was huge validation to a lot of these women,” Fedeyko said, adding that just making a trip to Silicon Valley could be that first step of broadening a startup’s scope. She added that she is able to fulfill her philanthropic efforts through the CSV or the CWN, but don’t be fooled because Fedeyko comes with a strong background of working in the tech industry for several years. Starting out as a consultant at Deloitte in Calgary back in 1997, and later working for different companies during the intervening years, she founded the Alberta Innovation Advisory Council in 2017 and is managing director of The Boradlist Canada, a curated talent marketplace for CEOs, leading executives and investors to recommend, discover and connect highly qualified women with technology companies. She was also the executive director of C100, a non-profit association that helps connect Canadian entrepreneurs and innovative companies with Silicon Valley. The only difference between CSV and C100 is that Fedeyko said she loves “to build a big tent” without having to focus on one specific region, sector or stage in a startup’s development. She added that she particularly likes to focus on startups that are in their early stages. “[C100 has] been more of a closed network and been more looking at the best of the best that is out there, and there is nothing wrong with that. I am looking more at the broader, I don’t know the best of the best, but I know some really great people that are trying really hard,” she said. But Fedeyko said it didn’t mean the two groups couldn’t collaborate and bring a “consortium” together to connect as many tech entrepreneurs as possible. When asked if there is a worry that Canada’s talent is running off the Silicon Valley and in the process devaluing our knowledge sector, Fedeyko said that the hope was that most companies will go out and learn, and come back to Canada. “If these companies are going to sustain in Toronto and be a big deal in Toronto, that doesn’t help globally…they’re saying ‘You know what I don’t want to go there and stay and build my company there, but I do know I need to participate in these ecosystems,” Fedeyko said. Fedeyko noted that there would be more opportunities for Canadian companies to network in Silicon Valley. The CWN’s next event is set for Nov. 19. PreviousPrevious post:Hashtag Trending – Tesla in trouble thanks to Musk’s tweet; Google smart display coming soon; WordPress removes alt-right blogsNextNext post:Hashtag Trending – Netflix testing out ads; Tesla hasn’t secured funding; is Twitter actually biased?